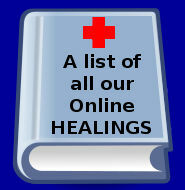 Please visit our Online Healing Catalog which is up-to-date. 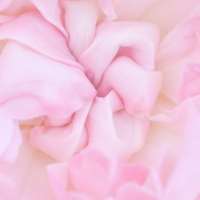 Twin Flame healings cannot be done Online. Please contact Ron to have them done. The healings are shown below. blockages within minutes that would require decades of Earthly processing! 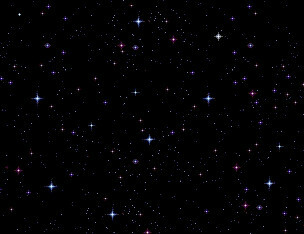 WHY DO WE HAVE INVISIBLE ENERGETIC BODIES THAT INTERACT WITH US? Our invisible energetic bodies function like a sponge. 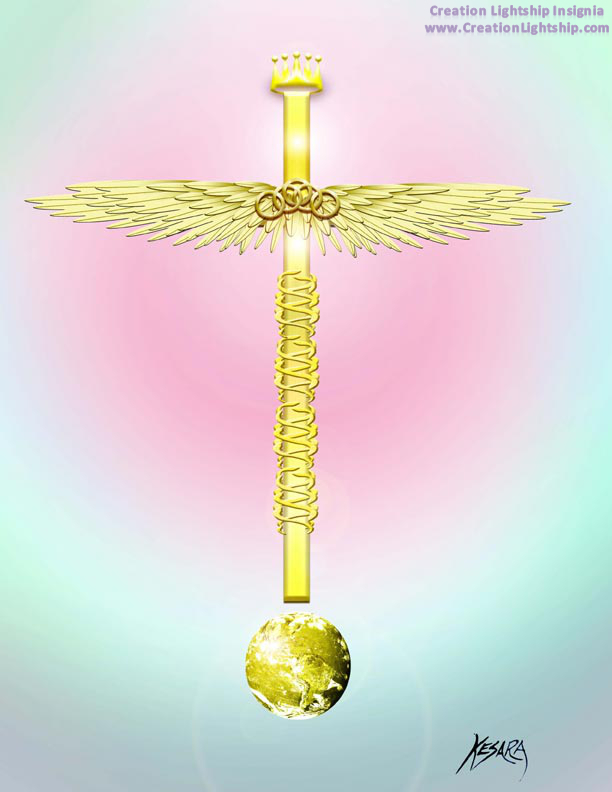 They absorb negative energies that would otherwise harm our physical body. When these bodies become overloaded, the negative energies then transfer directly into our physical body’s energetic system. This greatly influences our thoughts, actions, health, and emotional well-being. 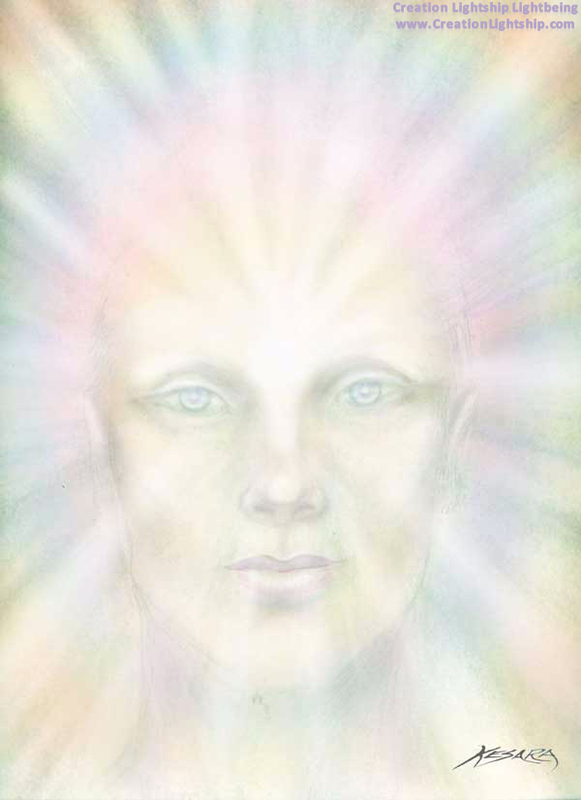 The Creation Lightship Clearings, gently release these stored negative energies from your body. 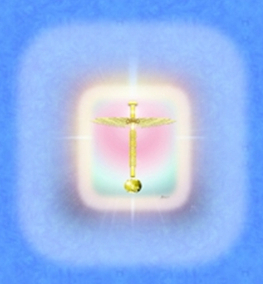 These specialized in-depth clearings are performed by the CLS Divine Light Beings. It takes one hour (approx.) 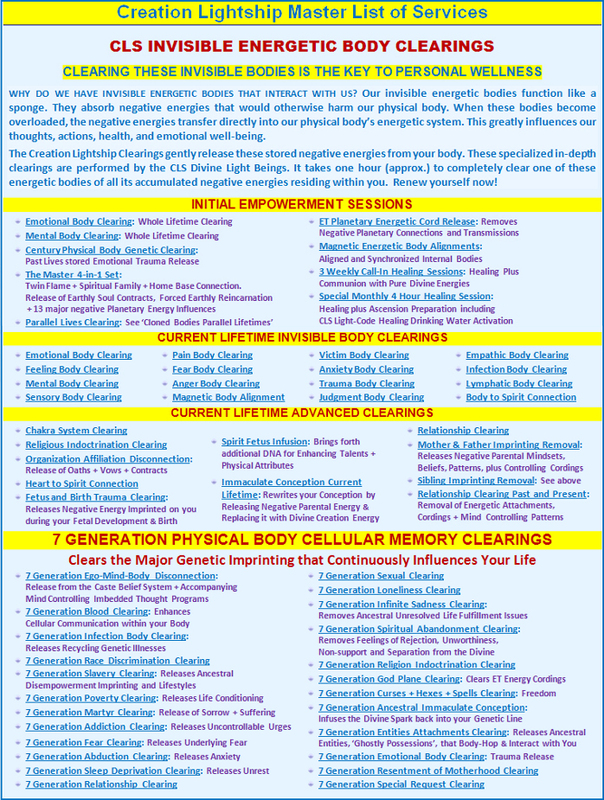 to completely clear one of these energetic bodies of all its accumulated negative energy residing within you. Renew yourself now! 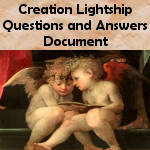 The Creation Lightship offers various healing sessions according to your specific needs. 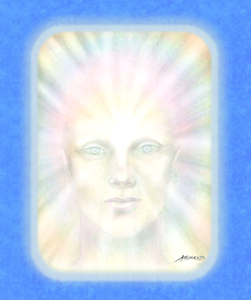 We recommend you begin with the Emotional Body Clearing Session. 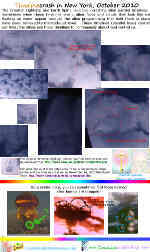 After having this clearing you can then evaluate which clearing you would like to have next to release more densities. The sessions under initial empowerment sessions are highly recommended. Most of these healing have come forth through the request of people who needed the densities released in these specific energetic bodies. If you would like a healing that is not listed, you may request it to be performed in a (CLS) Special Clearing Session. 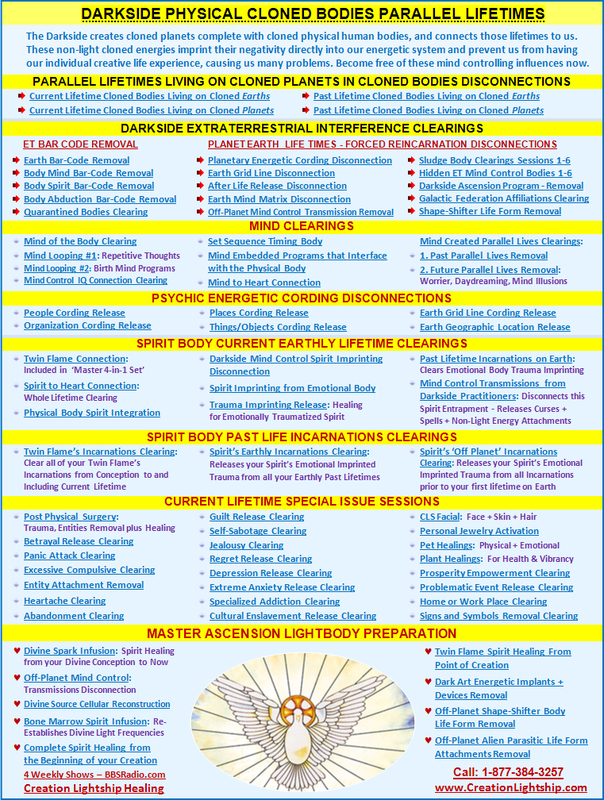 Below are images of the Master List of Services. Click on the images to see a larger and better quality version.